Jonathan Eastman Johnson (1824-1906) was born in Lowell, Maine, and died in New York City. According to Wikipedia, he was better known as Eastman Johnson and was called “The American Rembrandt in his day” – and he was my cousin. Illustration: “Thy Word Is a Lamp unto My Feet and a Light unto My Path,” by Eastman Johnson, c. 1878-1881. Source: Nelson Adkins Museum of Art (Kansas City, Missouri). A search in GenealogyBank’s Historical Newspaper Archives shows that there are over 2,000 articles about his life and artistic career. Many of the articles speak to the specific paintings, portraits and other works that he created. 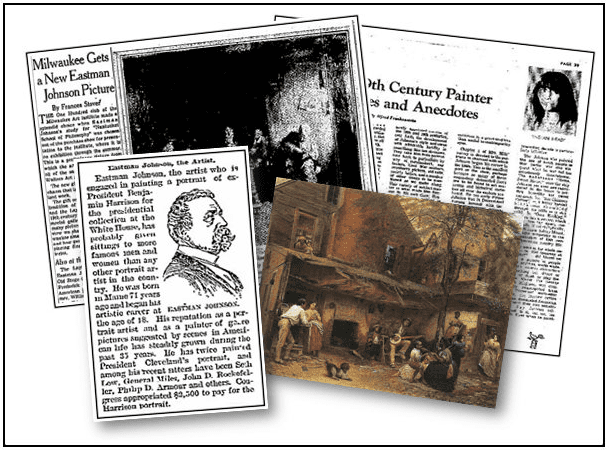 Newspapers are a good way to get the details behind his paintings and learn who acquired them over the years. 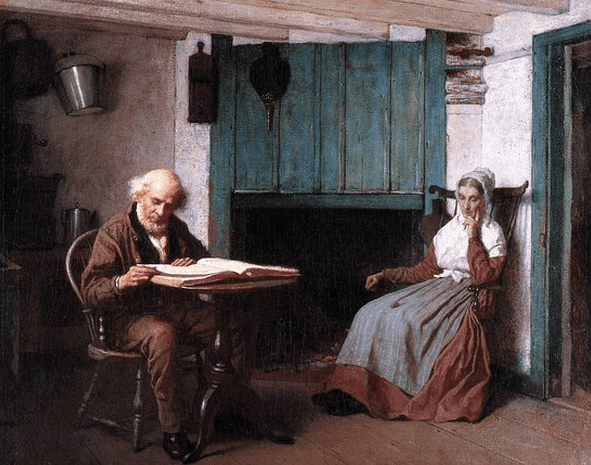 “Born in Lovell, Maine, Eastman Johnson moved to Washington, D.C., in 1845, when his father accepted a major clerkship in the Navy Department. Eastman established his portrait career by drawing members of the Maine legislature and U.S. Senators. More formal training commenced at the Royal Academy in Düsseldorf and with history painter Emanuel Leutze. This was followed by four years in The Hague, the offer of an appointment as court painter to William III of Holland, and a few months with Thomas Couture in Paris in 1855. Johnson subsequently became a successful portrait and genre painter in New York, as distinguished as many of his patrons. Do you have artist relatives?